Death is never an easy topic for people to discuss, but it is a necessary discussion to have for one's own peace of mind and for the sake of the loved ones one will leave behind. Having had to make the decisions regarding funerals for loved ones, it was a lot easier to do knowing what they wanted. Fifteen years ago, when my mother was dying from cancer, my father and I had to demand that the doctor give my mother something to spare her from the immense pain she was suffering. The doctor said that he could order a morphine drip, but was reluctant because it would shorten her life by a few days. My dad said that she wasn't living anymore but was just existing in a state of misery. Fortunately, the doctor relented and let her life end in comfort. Six years later, when my grandfather was nearing the end, I had to fight the hospital social worker to have him placed in hospice so that he could be free from pain and allowed to go with dignity. It was the hardest thing that I ever did - fighting for a man I loved so dearly to be allowed to die with dignity. Although I still feel self doubt and guilt, I know I would do it again if I had to. I have often written about my belief that quality of life trumps any argument about the sanctity of life, especially when it's not a question of whether one was going to die, but how they were going to die. Though people repeatedly stress a desire to die at home, free from pain, the opposite often happens, the Institute of Medicine found in its "Dying in America" report. Most people do not document their wishes on end-of-life care and even those who do face a medical system poorly suited to give them the death they want, the authors found. The result is breathing and feeding tubes, powerful drugs and other treatment that often fails to extend life and can make the final days more unpleasant. The report blamed a fee-for-service medical system in which "perverse incentives" exist for doctors and hospitals to choose the most aggressive care; inadequate training for those caring for the dying and physicians who default to lifesaving treatment because they worry about liability. "It's not an intentional thing. It's a systemic problem," said David Walker, the former U.S. comptroller general, who co-chaired the committee that issued the report. This should really be a nonpartisan issue. A higher quality of life, less expense and control of one's own destiny is something that I think almost everyone would agree are worthy goals. If we value the ability to choose how we live, we should also value the ability to choose how we die. Sadly, there is a faction of politicians that are controlled by big money special interests who make a killing - excuse the pun - at keeping people alive, no matter how miserable they are. It's one more battle in the ongoing war that pits people versus profits. Thank you, Capper, for putting into words the very experience we had with a dear family member. God Bless You and give you strength. After watching my Mother, Father, and Brother all die slow deaths, I certainly do see a need for change. We all have the right to live, why can't we all have the right to die as well? If it were highly profitable to euthanize human beings, they'd start to allow it. Money speaks, as we all know. 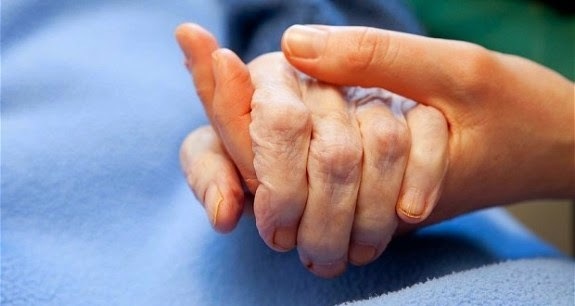 I wasn't thinking more about procedures designed to save a person's life that don't make sense when the person has a terminal illness in another section of their body, as opposed to hospice. depending on what the person wants to do, of course. In 2006 my wife died from breast cancer, and the experience was just the opposite. The insurance company wanted her out of the hospital and in hospice (which wasn't covered) as soon as possible. Pain medication wasn't an issue, because the oncologist worked with the pain management doctors. In the early 1990's I went through RN school, and was able to sit in on a cancer pain management speech. The emphasis was to supply enough medication to cover the pain. The concern many people have about this issue, I think, is the question of who determines "quality of life". There have been far too many cases where individuals with disabilities have been pressured, against their own desires, to refuse lifesaving treatment because they had no "quality of life". I am not talking about terminal patients here but people who had years of life left ahead of them and wanted to live being told by doctors that they should allow themselves to die. I think this is part of the reason for some of the opposition the writer finds incomprehensible. @echoGirl The story line about disabled people with "years of life left ahead of them and wanted to live being told by doctors that they should allow themselves to die" being "pressured, against their own desires, to refuse lifesaving treatment" is about as fact based as 'Obamacare death panels' chaired by the Tooth Fairy. The sad truth is that thousands of people (living in states who have not implemented Medicare expansion and/or have ridiculously low earnings limits) who absolutely do not want to die, will die every year because they have no access to the care and treatments which could save them. For example people with curable cancer who can't get chemotherapy.